Our 2011 adventure through Spain, Portugal, Gibraltar, and Morocco was loaded with fantastic sights and memorable moments. Here’s just a few pictures to give you a taste of the fun. Pretty soon we’ll have a photo-sharing site up and will be able to show you every moment of the trip. 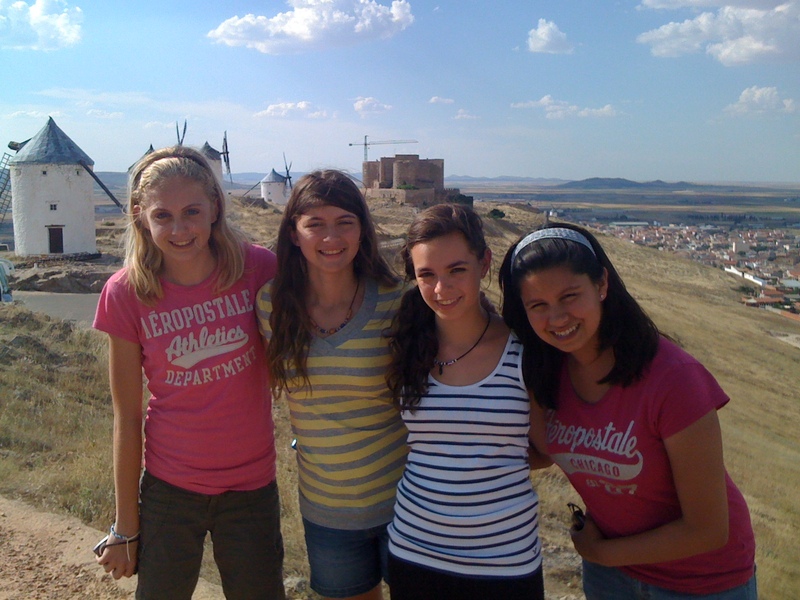 Tara Schumal, Claire Dobry, Brittany Hebeda, and Ivy Diaz near the Consuegra windmills. 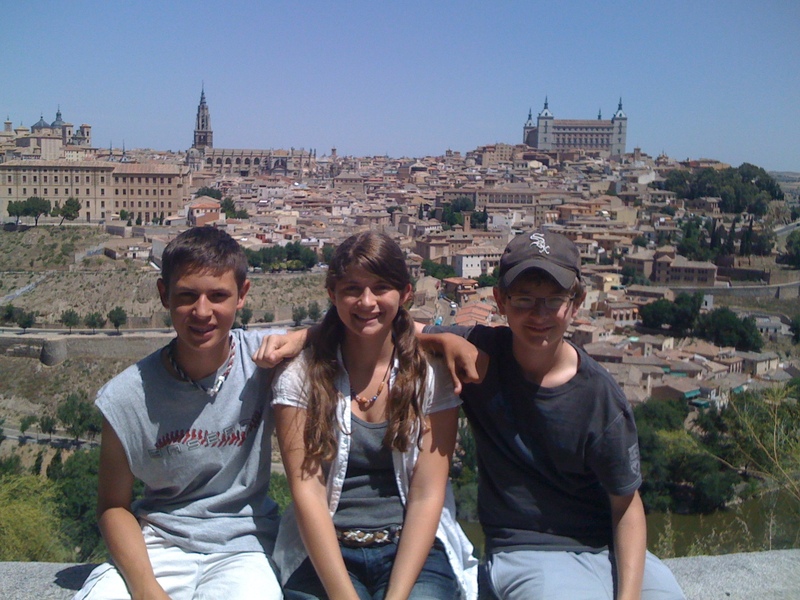 Cristian Sanchez, Claire Dobry, and Kirk Fortelka step into El Greco's famous painting "A View of Toledo." 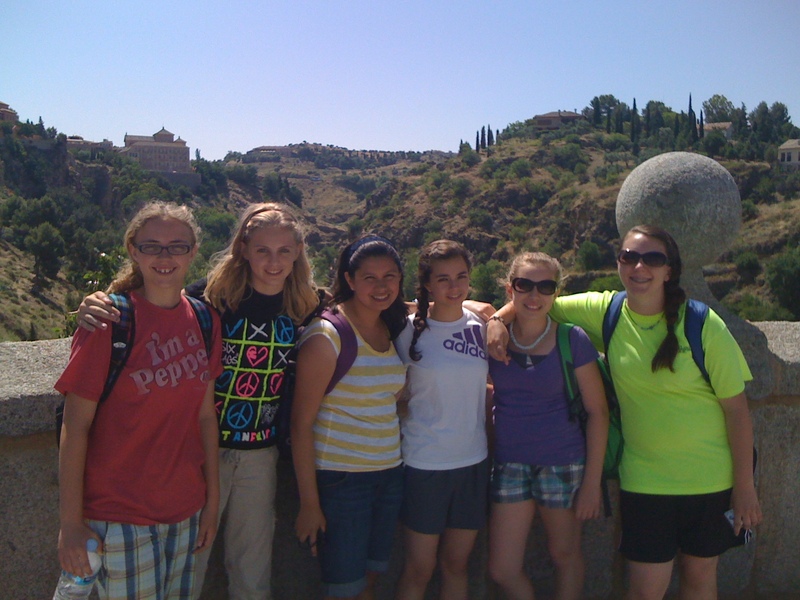 Alex Walker, Tara Schumal, Ivy Diaz, Brittany Hebeda, Paige Rogge, and Danielle Davis on the Roman Bridge in Toledo, Spain. 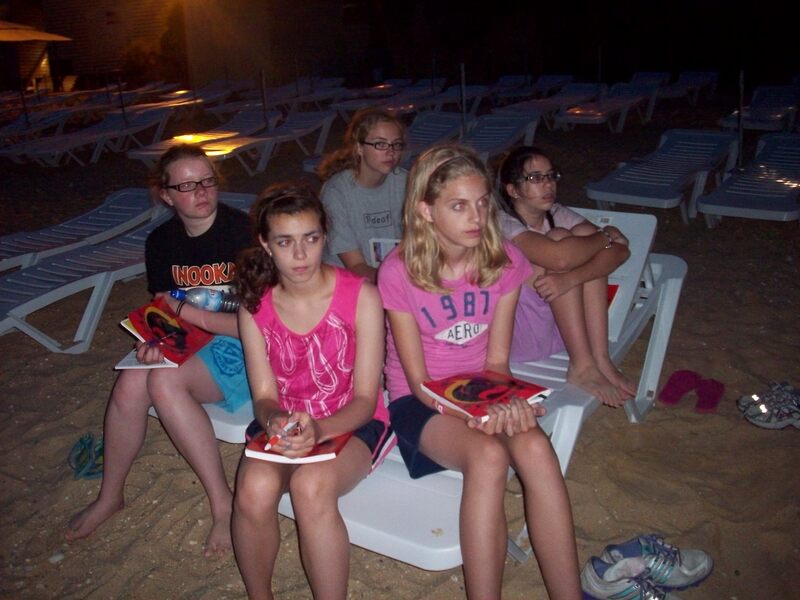 Megan Graham, Brittany Hebeda, Alex Walker, Tara Schumal, and Andra Sharp listen to the teachers during a meeting on the beach in Algarve, Portugal. 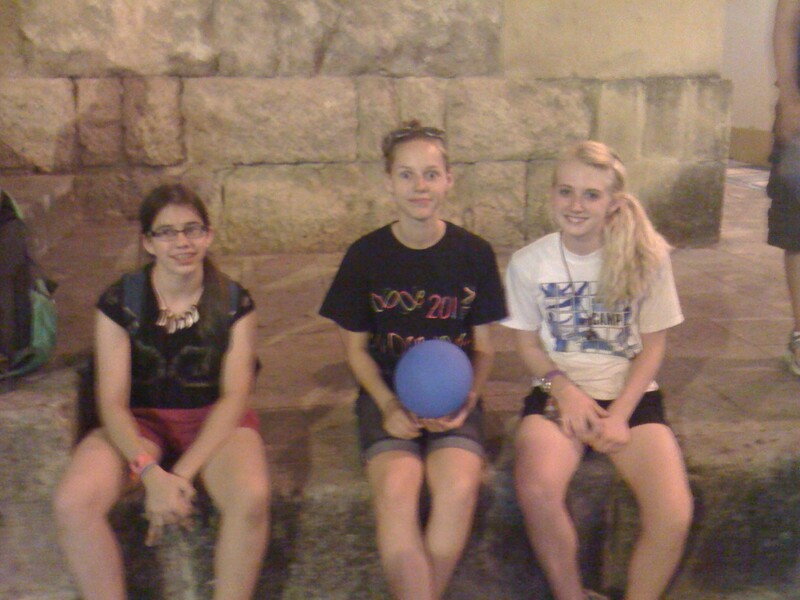 Andra Sharp, Kendall Hoppe, and Riley Loughran explore Cordoba after dark. 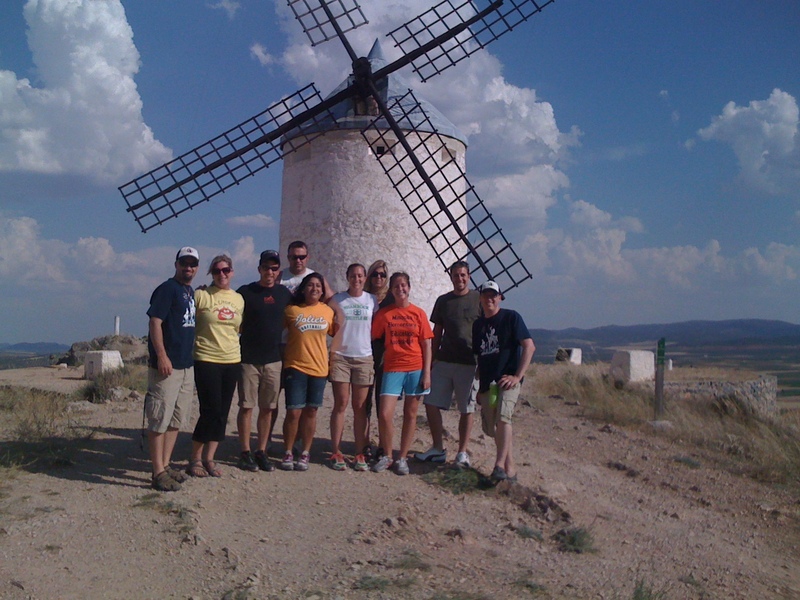 Minooka teachers: Mr. Doerr, Miss Filetti, Juanito Muelas (tour director), Mr. Harig, Miss Lara, Mrs. Harig, Mrs. Vertin,Miss Bialek, Mr. Sowa, and Mr. Curtis. 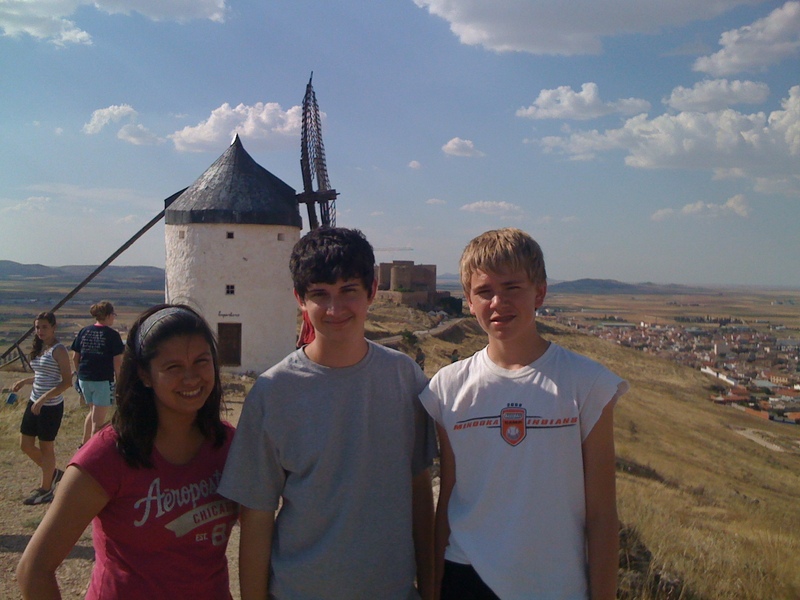 Ivy Diaz, Austin Martorano, and Brandon Ruburtus near the Quixote windmills. 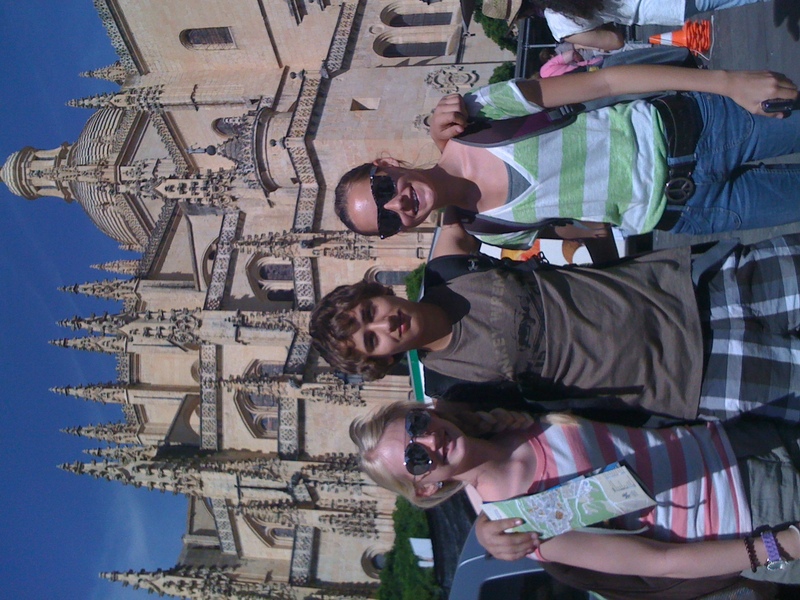 Riley Loughran, Jared Heaser, and Kendall Hoppe outside the Segovia Cathedral. 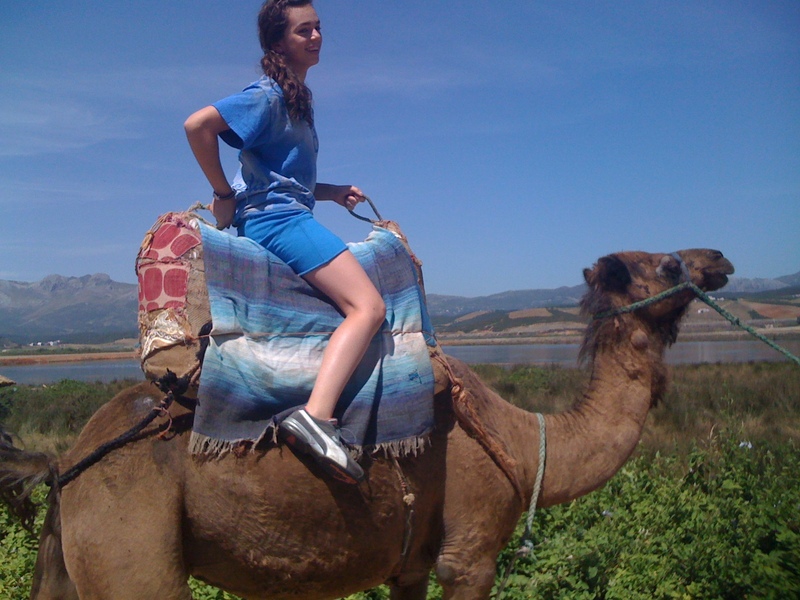 Brittany Hebeda riding a camel in Northern Africa. 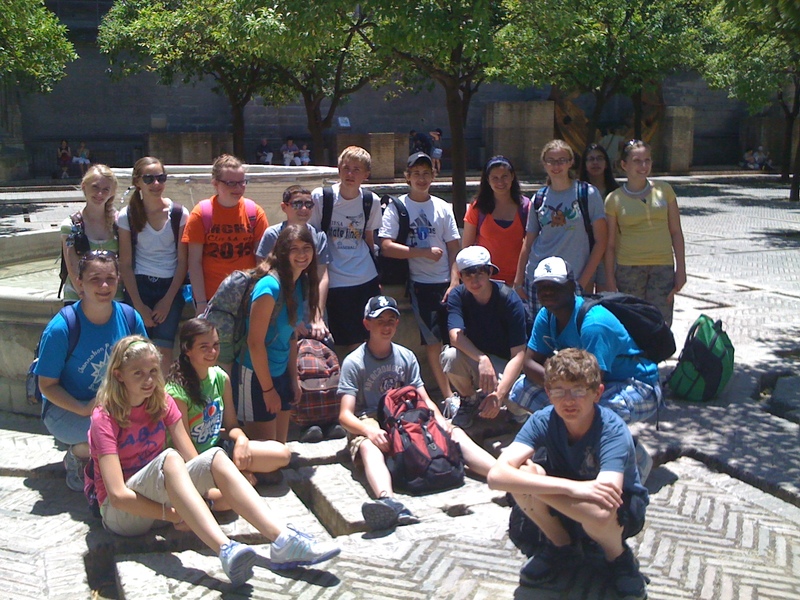 Minooka kids in the courtyard of the Great Mosque of Cordoba. 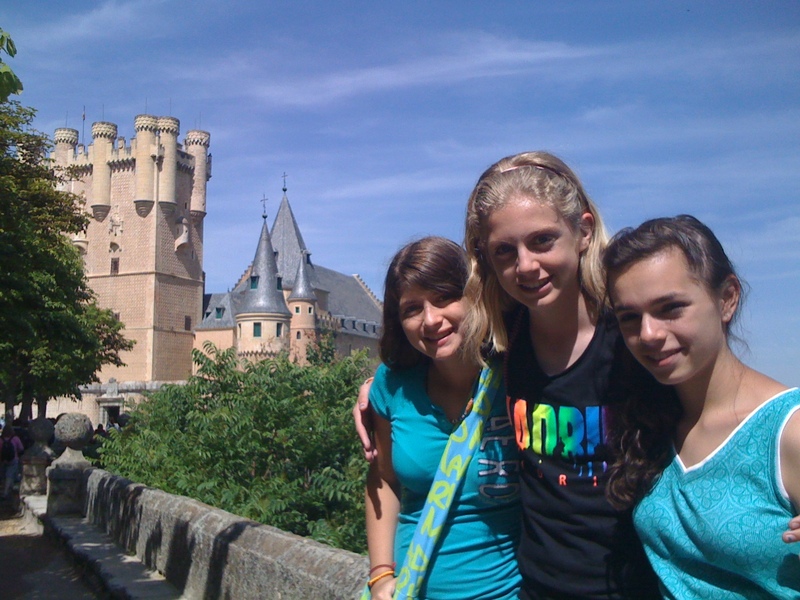 The fairy tale castle in Segovia was a highlight for Claire Dobry, Tara Schumal, and Brittany Hebeda. 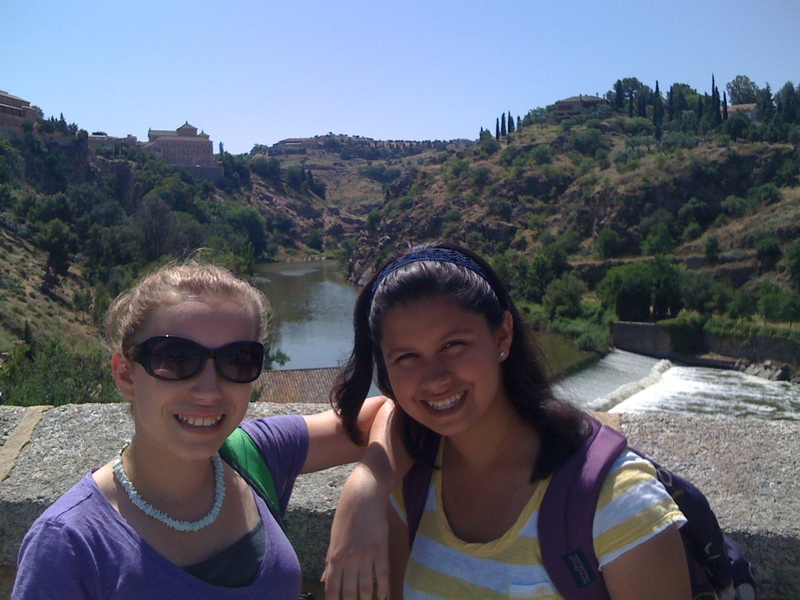 Paige Rogge and Ivy Diaz on the Roman bridge in Toledo, Spain. 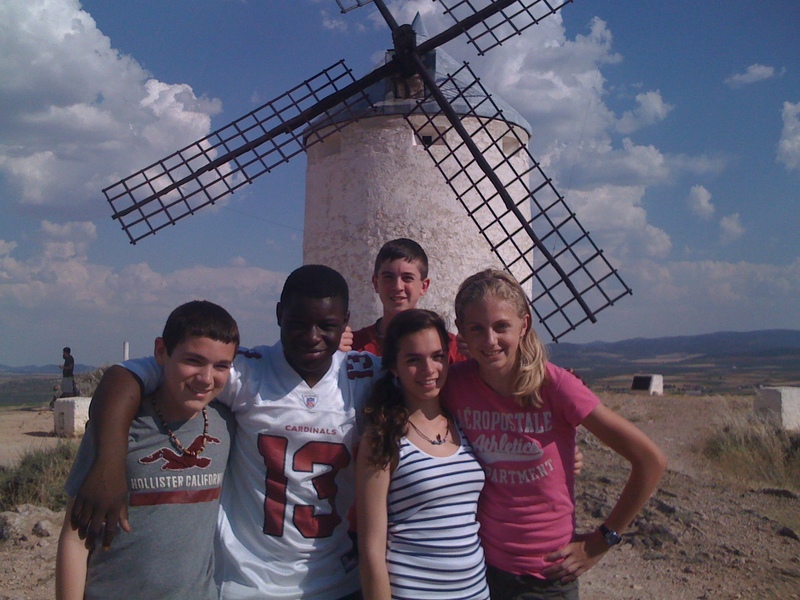 Danny Kelly, Josh Bouie, Andrew Spreitzer, Bittany Hebeda, and Tara Schumal posing where Don Quixote battled the windmills. 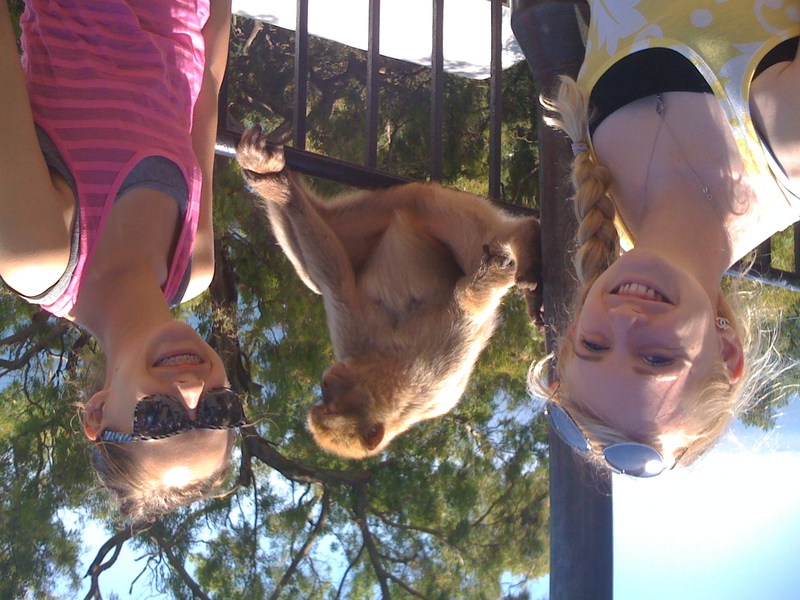 Riley Loughran and Kendall Hoppe met the locals in Gibraltar. 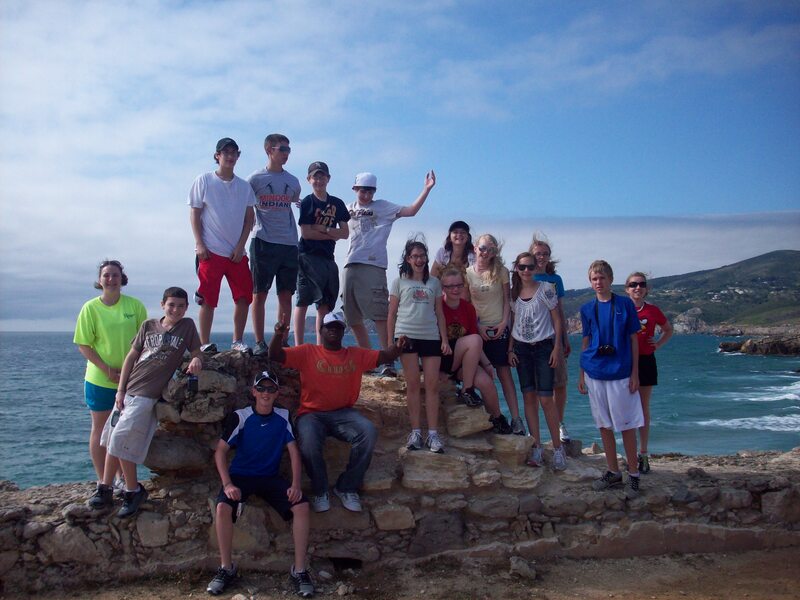 Minooka kids explore a ruined castle near Sintra, Portugal. 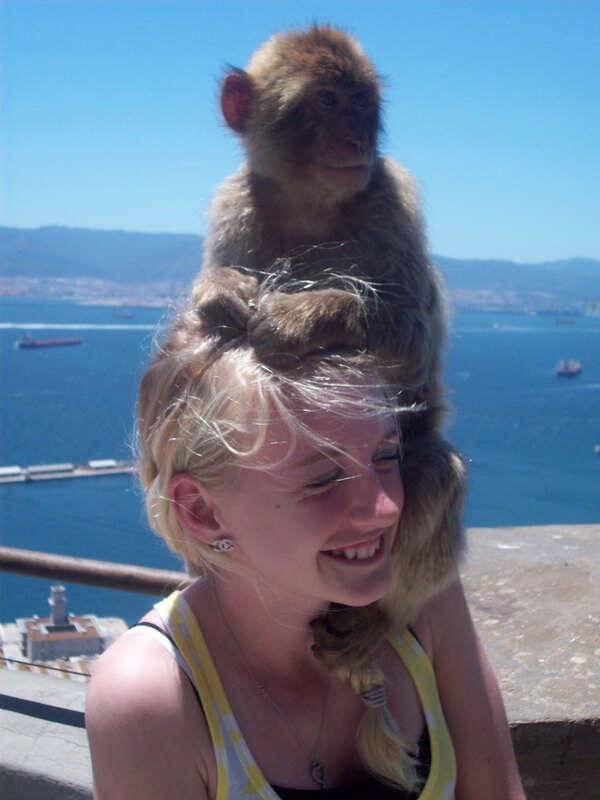 Riley Loughran makes a comfy chair for one of Gibraltar's rock apes. 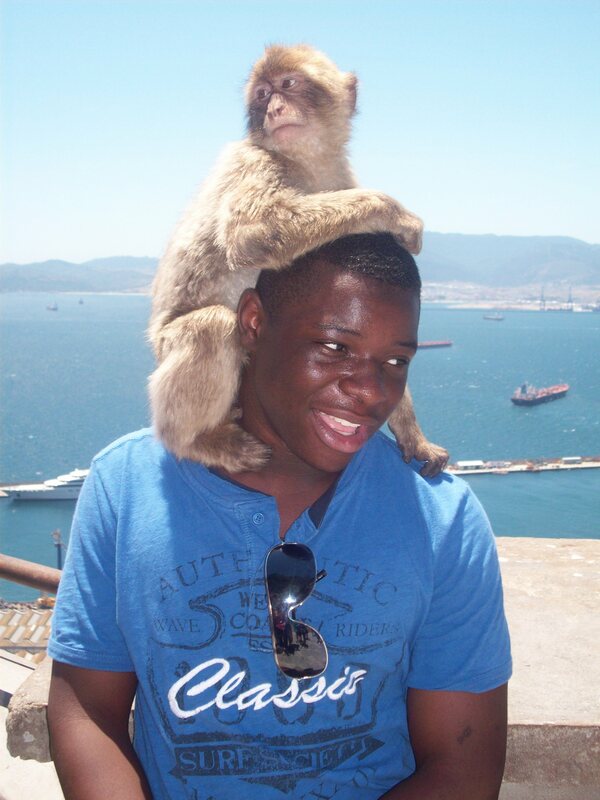 Josh Bouie makes friends everywhere he goes, even with the apes in Gibraltar. The Minooka gang on the steps of our Lisbon hotel with our tour director Juanito. These pics bring me right back!! It was an awesome experience, thank you!! These kids were all GREAT kids and it was a pleasure to be a part of it! Thanks to the teachers who put this trip together, these kids (and adults) will never forget it! !